Greg Vojtko Photography » Highland, CA: Has Winter Finally Arrived? 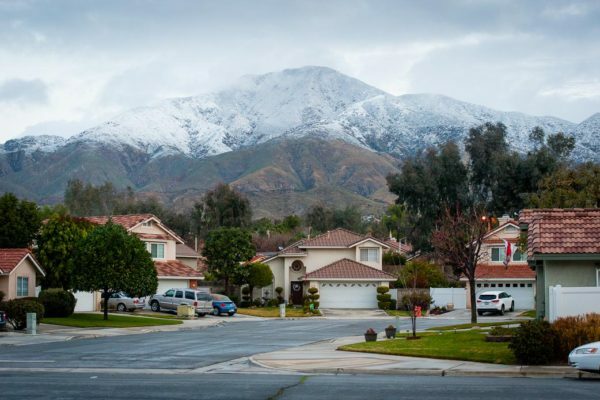 Highland, CA: Has Winter Finally Arrived? It would appear winter has finally arrived in the Inland Empire. A cold overnight storm left a generous dusting of snow on Harrison Peak, seen from my driveway in East Highlands Ranch as I left for work this morning. Hopefully the storm will be one of many weak ones in the next few days that won’t wreak havoc on recently-burned areas in other parts of Southern California. I try to keep my eye sharp by making pictures at home. If I can find nice images among everyday sights, not simply spectacular occurrences like this snowfall, it should be no problem making terrific pictures when and where the scenery is fresh.